Not to be confused with Lellouche, variant form of the same surname. "Lelouch" redirects here. For the fictional character, see Lelouch Lamperouge. Claude Barruck Joseph Lelouch (French: [ləluʃ]; born 30 October 1937) is a French film director, writer, cinematographer, actor and producer. Lelouch was born in the 9th arrondissement of Paris, the son of Charlotte (née Abeilard) and Simon Lelouch. His father was born to an Algerian Jewish family and his mother was a convert to Judaism. His father gave him a camera to give him a fresh start after his failure in the baccalaureat. He started his career with reportage – one of the first to film daily life in the Soviet Union, the camera hidden under his coat as he made his personal journey. He also filmed sporting events like the 24 Hours of Le Mans and the Tour de France. 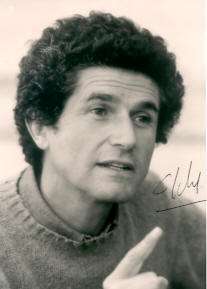 His first full-length film as director, Le Propre de l'homme, was decried by the critics – 'Claude Lelouch, remember this name well, because you will not hear it again' – Cahiers du cinéma said. La femme spectacle (1963), following prostitutes, women shopping, going for nose-jobs, was censored for its misogynist tendency. A Man and a Woman changed his fortunes and was met with favour even by the Cahiers group. 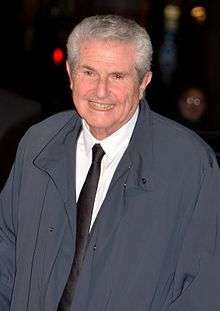 The 1981 musical epic Les Uns et les Autres is widely considered as his masterpiece, and his credits now add up to 50 or so films. His 1976 film, C'était un rendez-vous, purportedly features a Ferrari 275 GTB being driven at extreme speed through the streets of Paris at dawn. The entire short is shot from the point of view of the car. Legend has it that Lelouch was arrested after it was first shown publicly. In a 2006 interview, Lelouch stated that he drove his own Mercedes-Benz 450SEL 6.9 in the film and created a soundtrack of the radically different sounding Italian sports car for effect. He has collaborated more than two dozen times with composer Francis Lai. They scored a great hit with the piece 'chabadabada' for the film A Man and a Woman sung by Nicole Croisille and Pierre Barouh, and more than 300 versions of the song exist. He is the father of 7 children. In 1993 he was the President of the Jury at the 18th Moscow International Film Festival. Lelouch's A Man and a Woman won the Palme d'Or at the 1966 Cannes Film Festival, as well as two Oscars including Best Foreign Language Film. His 1967 film, Vivre pour vivre, was nominated for the Best Foreign Language Film Oscar. In 1971, he won the David di Donatello for Best Foreign Directing for Le Voyou. ↑ "Claude Lelouch: Life as a movie - Israel Culture". Ynetnews.com. Retrieved 14 November 2011. ↑ IMDB Trivia, imdb.com; accessed 21 February 2016. ↑ "Festival de Cannes: A Man and a Woman". festival-cannes.com. Archived from the original on 7 August 2012. Retrieved 21 February 2016. ↑ "The 40th Academy Awards (1968) Nominees and Winners". oscars.org. Retrieved 12 November 2011.